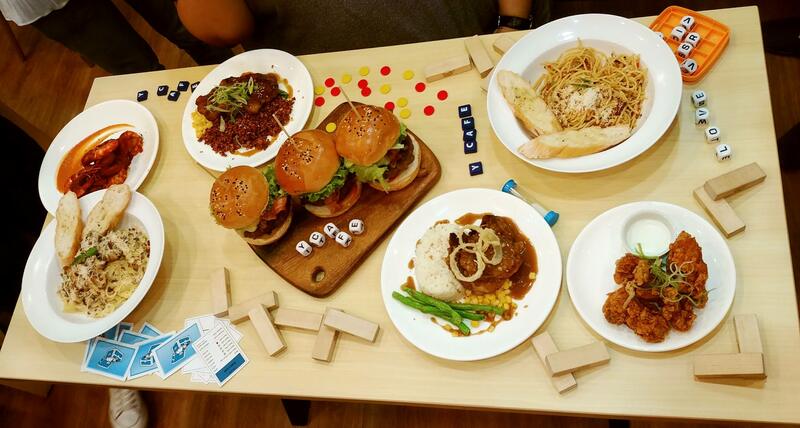 Y Café is quietly tucked at an unassuming spot along HV dela Costa Avenue in Makati City. 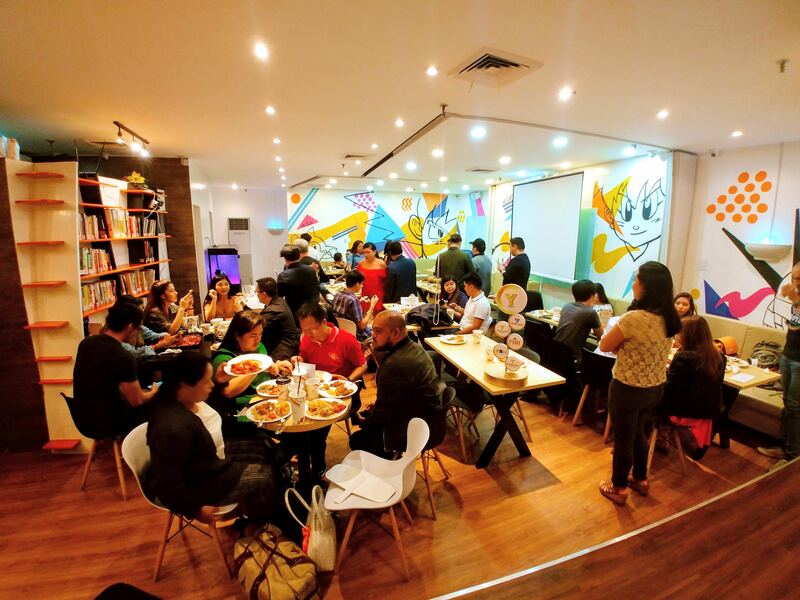 Despite this, I have heard a lot of good things about Y Café because it was just across our office and some of my colleagues were regular diners. 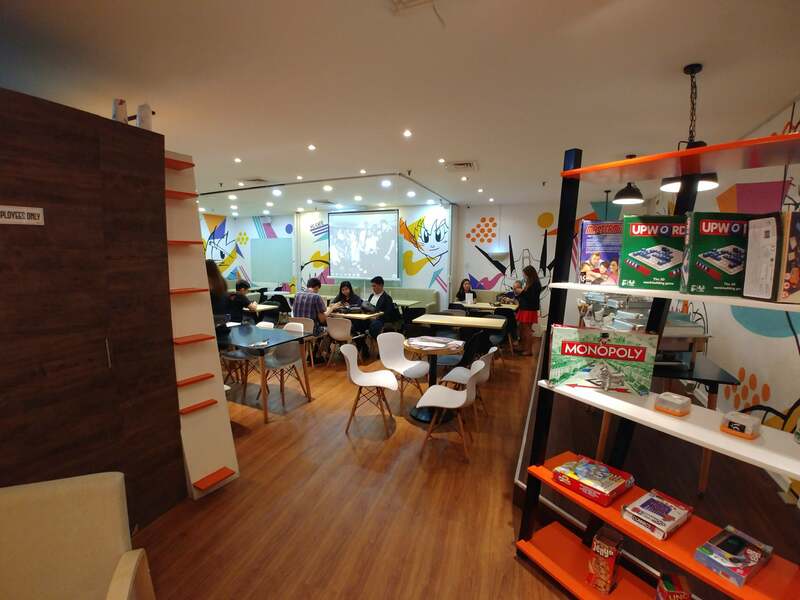 Aside from good food, my officemates said that Y Café, being also a co-working space, offered good Wi-Fi connection and tables fitted with power outlets so patrons can conveniently work. Y Café’s seemingly hidden location makes it akin to a secret nook waiting to be discovered, at least by foodies who are not from the area. 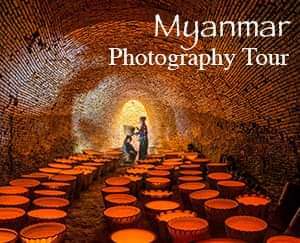 However, I trust that its discovery will be in no time because word of mouth spreads like wild fire. Y Café was formerly known as Venture Capital Café or VC Cafe. 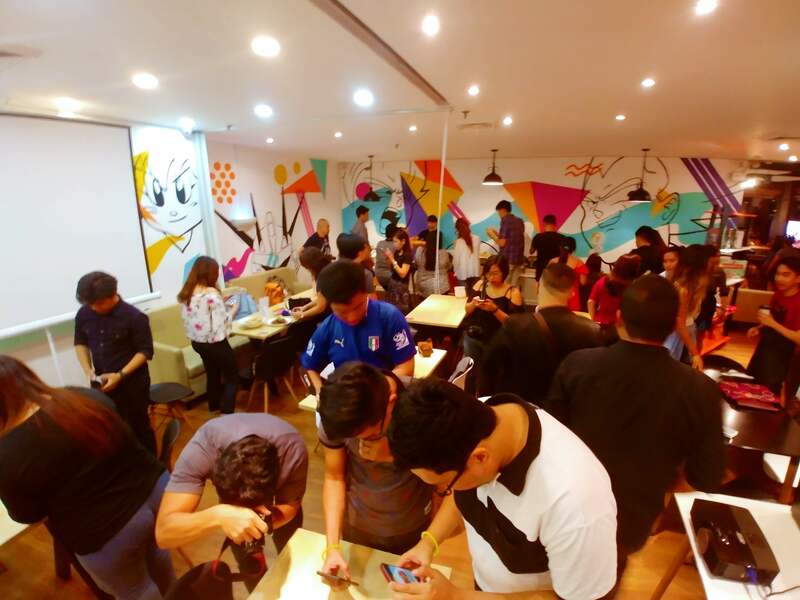 The former name may have sounded like a stock brokerage or trading firm but that was because one of the main concepts behind VC Café was for it to become a hub for incubating business ideas. 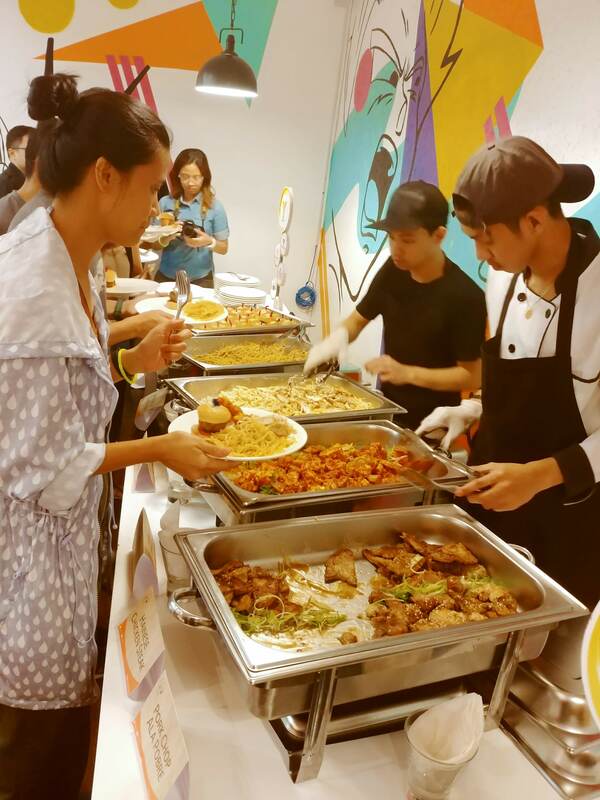 It was a place where diners can meet and brainstorm about concepts, hold seminars and events, and forums in any of the conference rooms inside the restaurant. 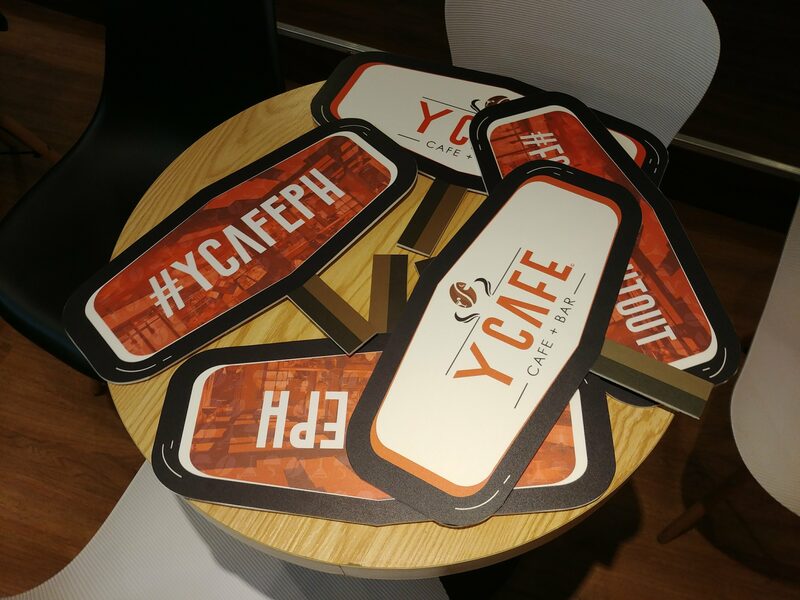 However, the brains behind the cafe recently renamed it to Y Café to appeal to a younger market segment. 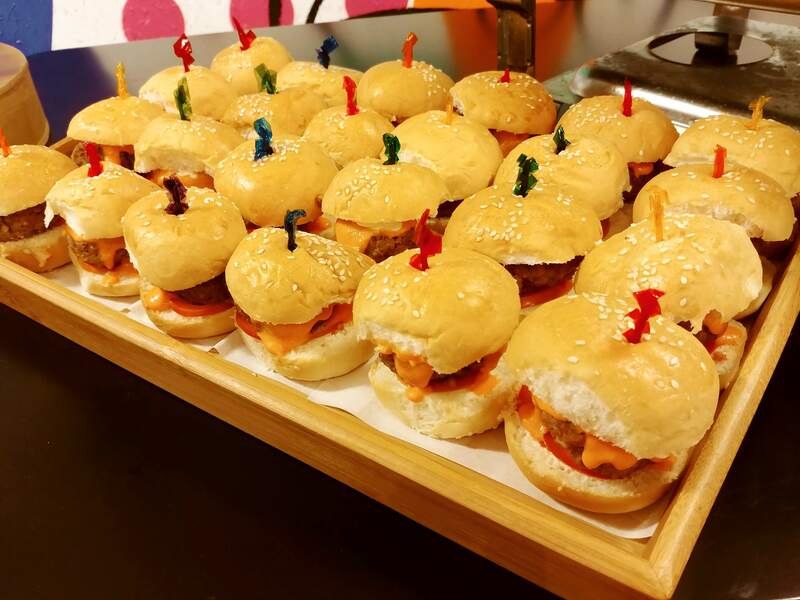 Everything is still the same – customers will still enjoy the same service, the same 80s anime theme, and the same food that they have come to enjoy. 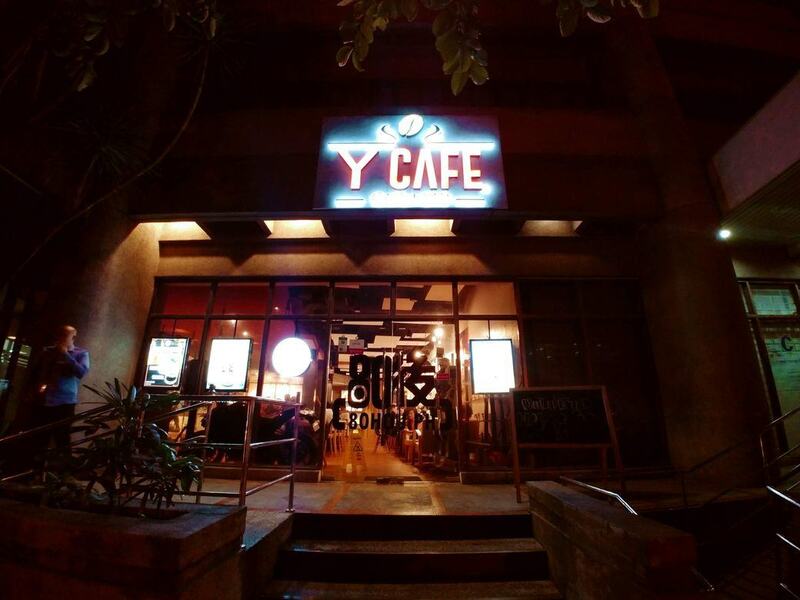 The change in name from Venture Capital Café to Y Café was a welcome move as the latter sounded less stiff and more casual. 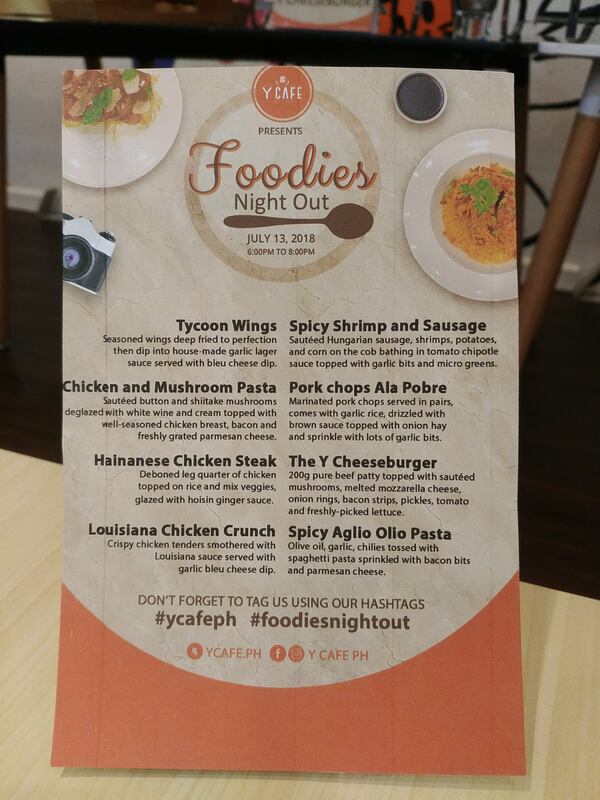 A few weeks ago, I received an invite from Y Café for their Foodies Night Out, an event exclusively organized for lifestyle and food bloggers. 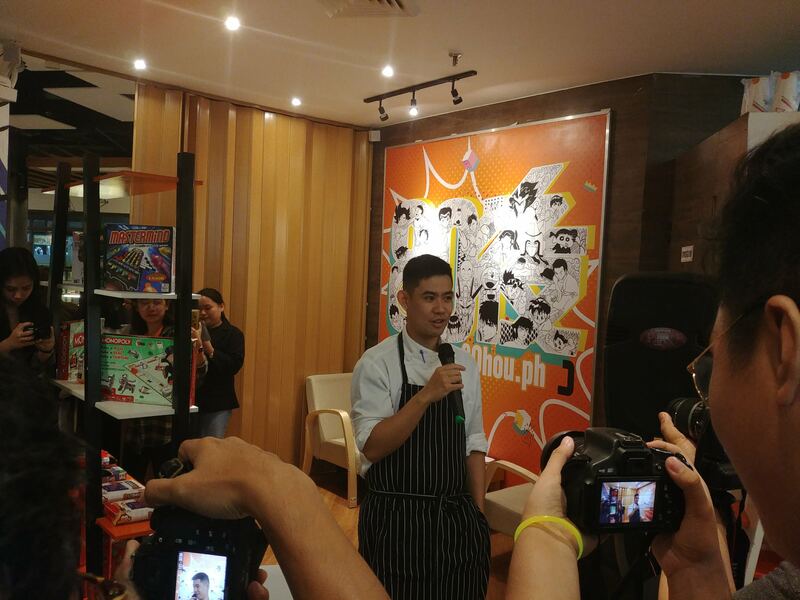 It was an informal event to introduce some of the current offerings in Y Café’s menu. 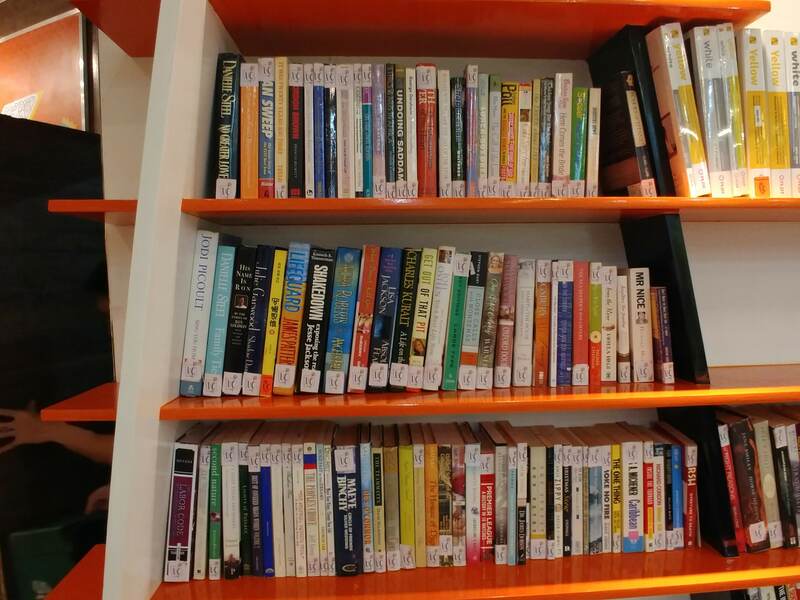 The choices were a combination of mostly modern Western and Italian fares. 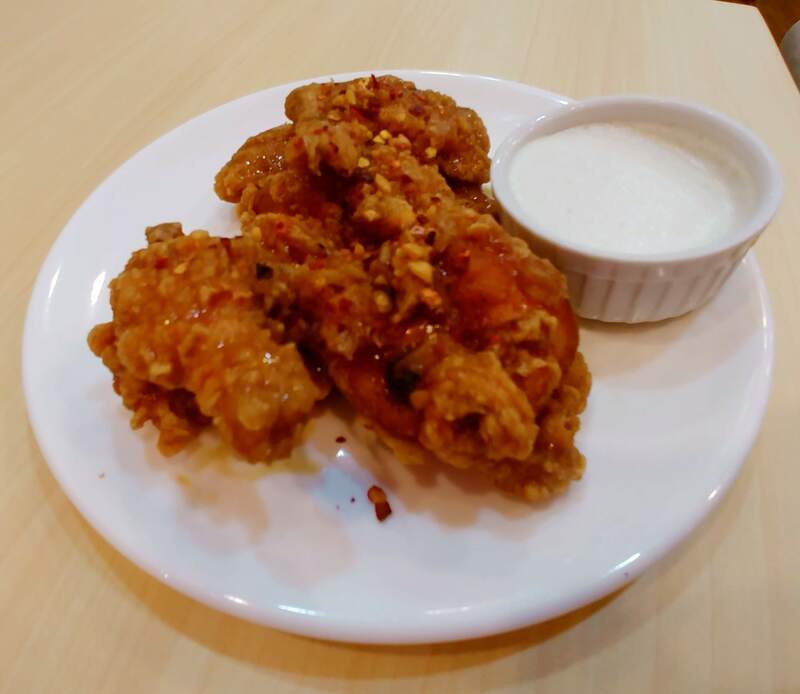 Seasoned wings that are deep fried, and then dipped in a house made garlic lager sauce. It was served with a bleu cheese dip. This is one full leg quarter of chicken that is deboned, served on top of rice and mixed vegetables, and glazed with hoisin ginger sauce. Louisiana Chicken Crunch This is crispy chicken tenders coated with Louisiana sauce and served with garlic bleu cheese dip. This is great either with rice or with beer. 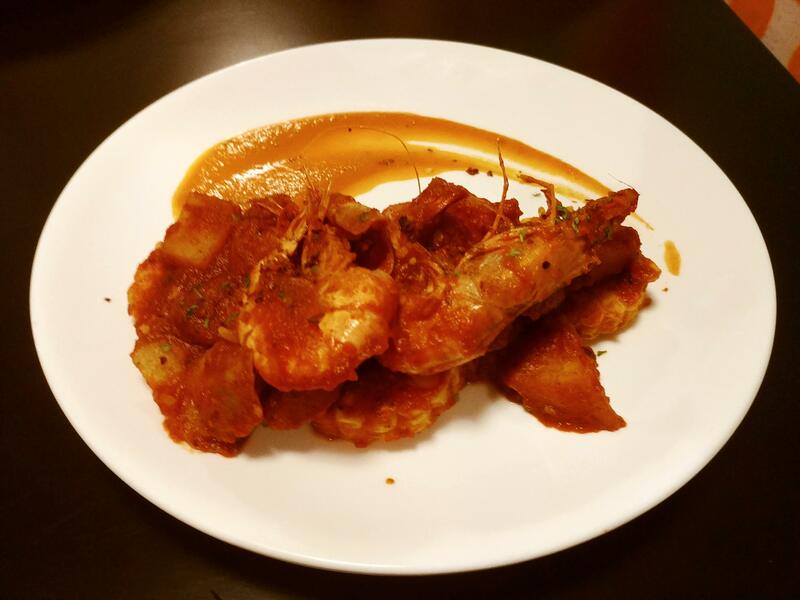 This was a combination of Hungarian sausage, plump shrimps, potatoes, and corn on a cob that are sautéed are coated with a tomato chipotle sauce. This was topped with garlic bits and micro greens. Pork Chops ala Pobre Two thick slices of marinated pork chops are served with garlic rice and then drizzled with brown sauce and topped with onion hay and sprinkled with generous amounts of garlic bits. This savory pasta dish is made of sautéed button and shiitake mushrooms, deglazed with white wine and cream, topped with strips of chicken breast, bacon, and parmesan cheese. Spicy Aglio Olio Pasta This light yet flavorful pasta is made of olive oil, garlic, chilies, and sprinklings of bacon bits and parmesan cheese. 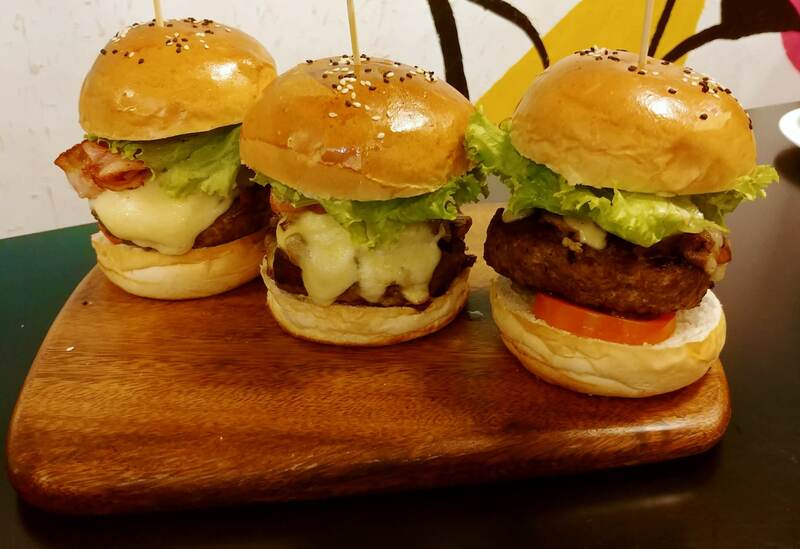 This giant cheeseburger is made of 200g pure beef patty with toppings of sautéed mushrooms, melted mozzarella cheese, onion rings, bacon strips, pickles, tomato, and fresh, crisp lettuce leaves. These are almost as big as your face! I really liked the Aglio Olio Pasta and I found it excellent. 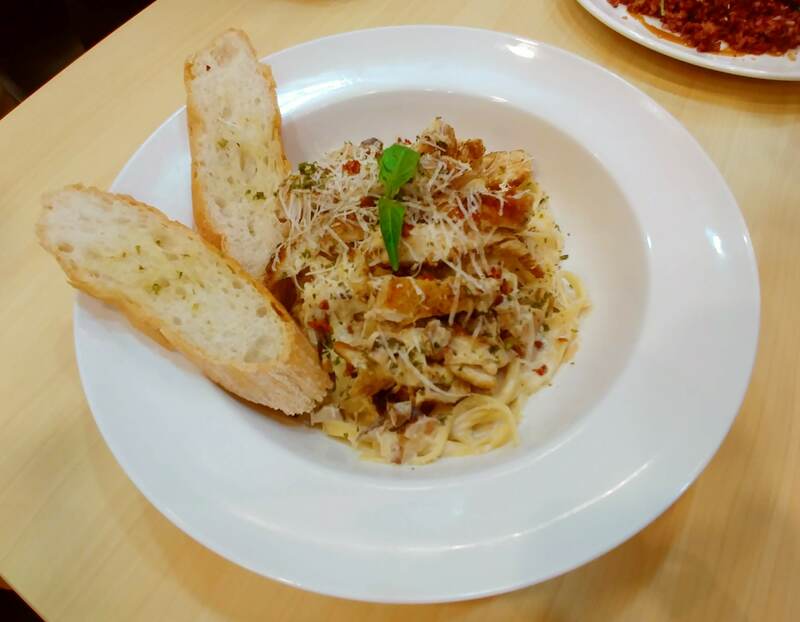 Y Café’s Aglio Olio Pasta was garlicky, mildly spicy, and well-seasoned. The combination of flavors complemented the deep and rich flavor of the olive oil. Aglio Olio is my favorite pasta dish and I always order it whenever it was on offer. However, despite Aglio Olio’s simplicity, some restaurants tend to miss out on something when preparing it, rendering it rather bland and unappealing. Y Café’s Spicy Shrimp and Sausage was another outstanding dish. The chipotle sauce was really good, and added much flavors to the shrimp and sausage. It had corn on a cob in it but I could also have this with rice. 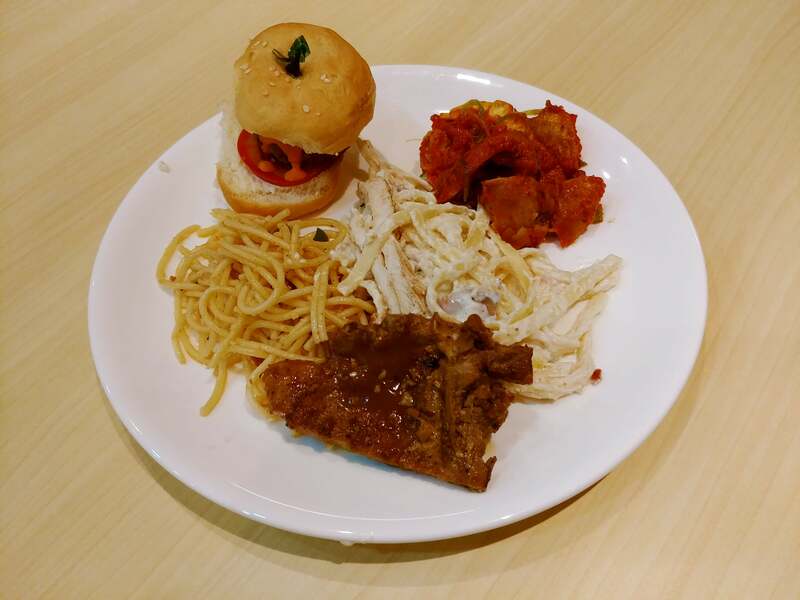 Some more noteworthy dishes were the Chicken and Mushroom Pasta, made savory by the shiitake mushrooms, and the Pork Chops ala Pobre. The Chicken and Mushroom Pasta was a bit heavy because of the cream and I would have loved to pair it with white wine. Lastly, the Pork Chops ala Pobre was a good take on the humble pork chops. It may not always be recommended because we can have pork chops anytime but at least Y Café did a good job in reinventing it. 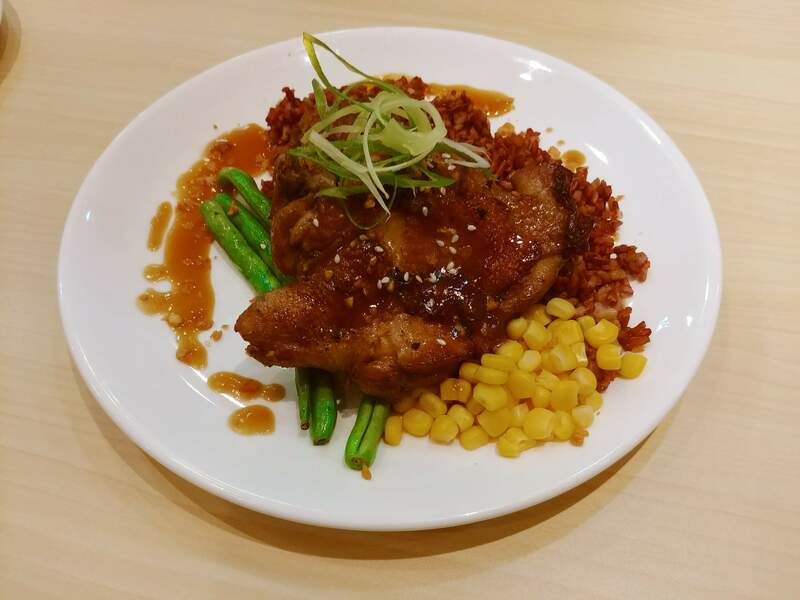 I did not try the Louisiana Chicken Crunch, Tycoon Wings, and the Hainanese Chicken Steak because I am not so much of a chicken fan. I have heard from fellow bloggers though that the Louisiana Chicken Crunch was also delicious and satisfyingly crunchy. All in all, it was a great evening despite the heavy rains. I would like to return to Y Café to sample the Filipino food choices in their menu and perhaps avail of their unlimited wine.